The Samsung Galaxy S “Active” model has been around ever since the Galaxy S4 Active. 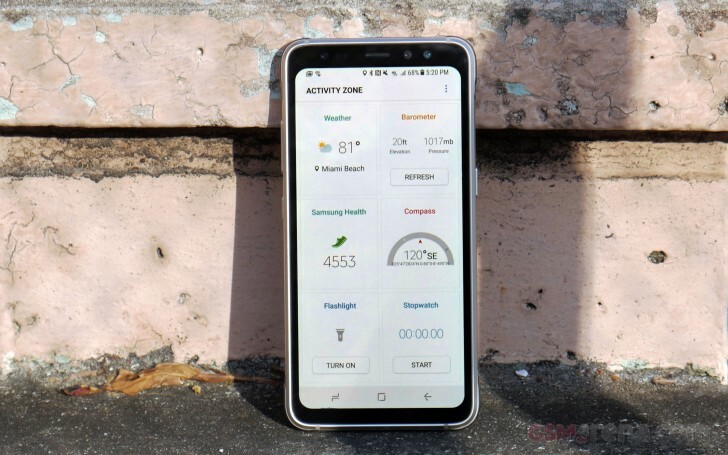 The Galaxy S’ Active series offered the latest flagship features and specs of the concurrent-generation Galaxy S model and repackaged it into a rugged beast – one that would feature a larger battery, Military-spec durability, and water resistance. The situation since then has been that AT&T was the only carrier in the United States to carry the ruggedized flavor of the Galaxy flagship. It catered to a niche market of folks who enjoyed fishing, hiking, or camping, as well as those with physically demanding jobs like construction workers, welders, or anyone who wanted a phone that could really take a beating. 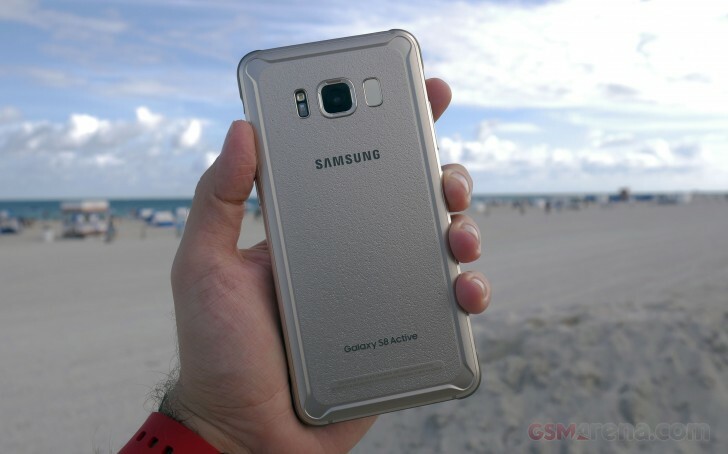 Rumors (1,2) have been circulating for a couple of months now, however, Samsung is officially announcing that the Galaxy S8 Active will make its way to Sprint and T-Mobile starting this month. The phone will be available from the two new carriers in Meteor Gray, so it looks like AT&T is keeping the Titanium Gold color option exclusively in the states. The Galaxy S8 Active is not “watered-down” in any way. In fact, it’s been beefed up with a 4,000 mAh battery, and features a shatter-resistant display. This is the exact same display found on the standard Galaxy S8 model with the same eye-pleasing color reproduction that we’ve come to love from Samsung. The one major difference is that the Active model does not have a dual-edged display. Otherwise, the phone is chunkier, but it doesn’t need to be thrown into a case. The phone has reinforced bumpers built into the phone and a grippy, textured backside. Oh yeah, and the phone still gets the same Iris scanner, Samsung Pay, 12MP camera, IP68 water resistance, and even wireless charging. As far as pricing goes, the AT&T version goes for the same price as the Galaxy S8+, so we may expect Sprint to do the same. T-Mobile announced the S8 Active will become available on the carrier website on November 17 and will be available in select stores starting on November 22 for $100 down and $30 per month ($820). The T-Mobile variant will also be take full advantage of T-Mobile’s 600 MHz LTE band will support 4×4 MIMO and 256 QAM.